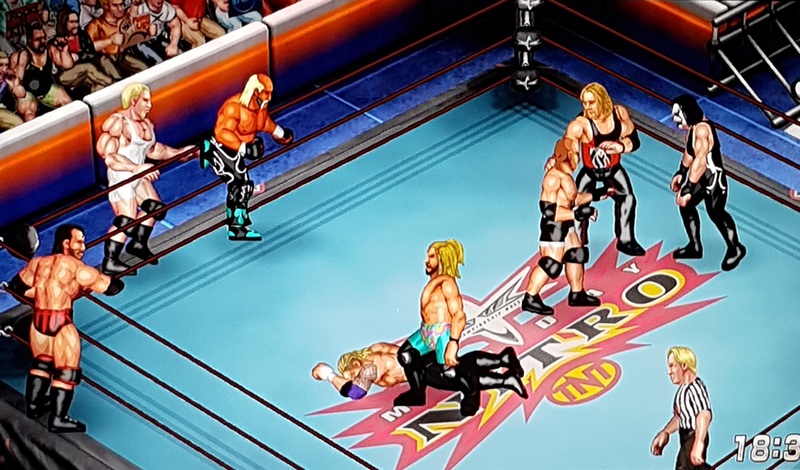 ‘Fire Pro Wrestling World’ Review | Brad OH Inc.
Now that our novel ‘Edgar’s Worst Sunday’ is on it’s way to market, there’s only one sensible move to make. Official endorsements! Yup, that’s right—we’re selling out! Well, we’re trying at any rate, but the offers are few and far between. So, this one’s a freebie. Fire Pro Wrestling is a weird sort of series—easily cast aside for flashier, ‘official’ franchises by an undiscerning eye. For the most part, it’s based on Japanese wrestling companies (this new edition scored an official association with NJPW), or completely fictional characters. Furthermore, it’s a 2D game which looks like a very slightly updated version of the WrestleFest arcade game. Beneath this surface simplicity however, there is a depth to Fire Pro that only a fanatical wrestling fan could ever begin to appreciate. For starters, it’s creative, or ‘edit’ mode is robust enough to allow every last wrestler one could ever dream of being in the game to be created to excellent likeness, with perfect move sets, and logic which ensures that when the CPU controls the character, they play and act just like their real-life counterparts. The result is that with Fire Pro, you can have any sort of wrestling game you want—or all of them. The roster is limited only by your memory space and imagination, allowing for 1000s of unique wresters divided up into all the various leagues, federation, divisions, and categories you can hope for. Rings can be created as well, and with the increasing accessibility of the online community’s support, building these dream rosters has never been easier. Fire Pro Wrestling World isn’t perfect, and the User Interface could certainly use a lot of work. Occasionally, it will force you to scroll through your list of wrestlers with no ability to sort them—just hundreds rolling by in one big list. It’s frustrating to say the least, and this is not the only such example of poor user design. Nonetheless, this iteration of the long-loved franchise is likely to be the best and longest supported we’ll ever see. While this is particularly true of the PC version, which features a host of user-built mods to solve the problems Spike-Chunsoft cannot, my preference has always been console, and that’s where I’ll enjoy it for now. While the PS4 community is growing slowly, and may never match that of the PC crowd, I’ve had little trouble finding very fine versions of most every wrestler, boxer, or UFC fighter I’ve wanted, and am left with little room for complaint. In the end, Fire Pro Wrestling will remain a niche title. Not everyone will get past the dated look. The gameplay—which requires a greater sense of timing, skill, and knowledge of how to ‘work’ a wrestling match—can be a challenge to newcomers, but remains rewarding to vets who understand that wrestling matches are not just fights. This is the kind of wrestling game that includes a button to let your opponent pull off a move in order to get a better match going. I suspect it’s the only one of that kind. Niche title though it may be, that niche is strong. It’s a game made by passionate people, and it inspires a passionate following. While other companies focus on picture-perfect graphics and flashy modes, with iterations every year trading one feature for another without ever really providing what the consumer wants, Fire Pro goes a different route. 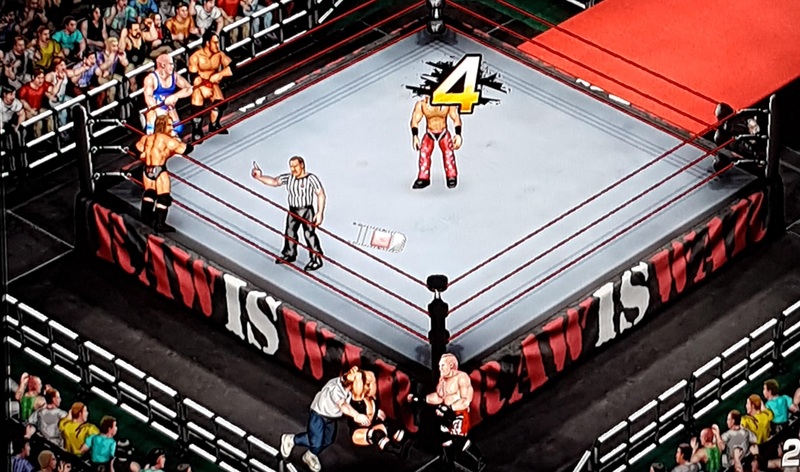 Fire Pro is about fun and creativity. It’s closer to a Lego set than a DVD. It lets you enjoy it in your own way, and find whatever you love about wrestling within its endless possibilities. Many people actually prefer ‘simming’—watching an entirely CPU controlled match—even more than they play. I guess this isn’t really a review after all. Not in the traditional sense at any rate. It’s really more of a love letter. Fire Pro is an amazing series, and Fire Pro Wrestling World—despite it’s flaws—may be the crown jewel of that franchise. 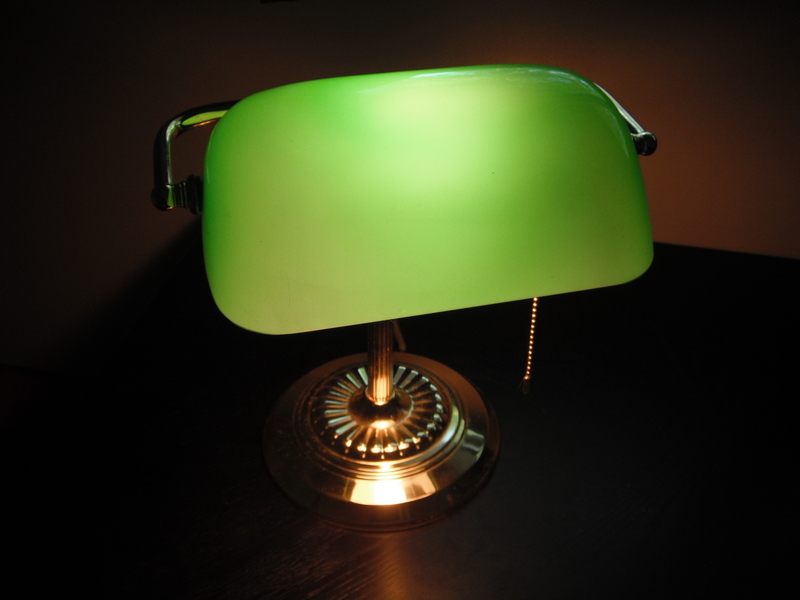 It is more accessible, has a better online community, and to put it simply, it’s endless fun. This entry was posted in Under the Green Desk Lamp and tagged BOI, Brad OH, Brad OH Inc., chunsoft, fire pro, fire pro world, fpr, fpw, game, njpw, review, spike, swa, wcw, world, wrestling, wwe, wwf by BradOH. Bookmark the permalink.